Connector arms help share battery power. Apple applied for a patent on its "Peloton" system for autonomous vehicles. It would allow them to share battery output using a connector arm. 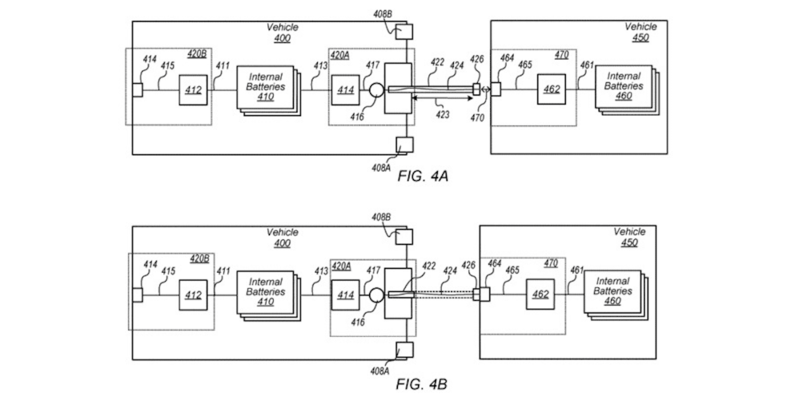 Apple has filed for a new patent for a suite of technology called “Peloton” which allows multiple self-driving cars to share battery capacity using a “connector arm,” according to trade publications that ferret out patent applications. The connector arm is used when vehicles are driven autonomously in a line, like a train. Each arm is linked to each vehicle in the Peloton. The consensus around Apple’s future plans that it has backed off building its own vehicle but is thought to be working on an autonomous driving system that other manufacturers will implement. 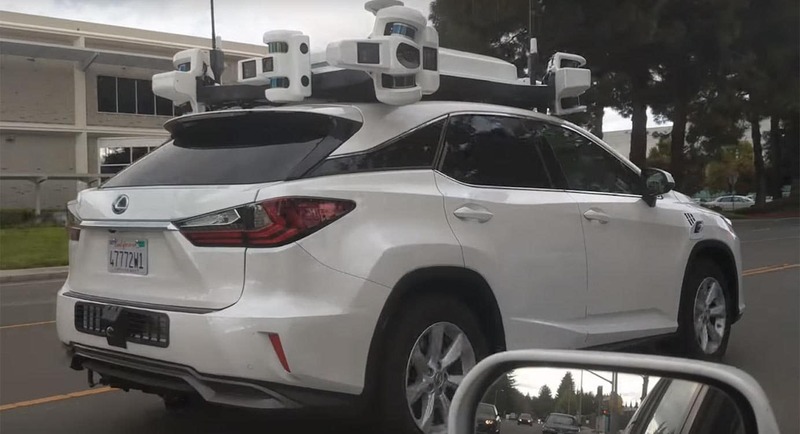 At least one analyst has predicted that Apple’s future autonomous vehicle system will make use of its own custom chips by 2023. Apple filed the details with the U.S. Patent and Trademark Office under the name “Peloton,” a cycling term that refers to the main group of riders. 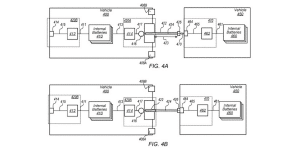 The application patent described advanced features to make autonomous vehicles travel further and more efficiently. An Apple autonomous test vehicle, a Lexus RX450h, appears to confirm the company is working on a system, but not a whole vehicle. Apple says that its peloton system could be used with as few as two autonomous vehicles, but it sounds like many cars could be linked together in a caravan to see greater benefits like increased aerodynamics and more. The summary of the patent gives a good overview of what Apple is trying to accomplish, according to the trade publications. “The vehicles can dynamically adjust peloton positions while navigating to reduce driving range differences among the vehicles,” the application said. Apple says in the application that the arm would make a connection between the internal batteries of the vehicles. After more dense descriptions of the apparatus, the filing describes the method of using the system that aims to share energy between multiple vehicles and balance driving range. The tech giant still hasn’t publicly confirmed its plans for the automotive space beyond upating its in-car infotainment system, CarPlay. This entry was posted on Wednesday, October 24th, 2018 at and is filed under Automakers, Automobiles, Autonomous Driving, Business, Driverless Vehicles, EVs, Electrified Vehicles, Lawsuits/Legal, Markets, Safety, Technology, U.S./North America. You can follow any responses to this entry through the RSS 2.0 feed. Both comments and pings are currently closed. How similar is this to the Selden patent?